Attorney Michael D. Canulli is a highly experienced and skilled practitioner whose focus is on the client and who has been advising and representing clients with integrity and personal attention to detail in family law cases throughout DuPage, Will, Cook and surrounding counties for over 35 years. In doing so, Mr. Canulli provides a personal touch along with a fair-minded but strong advocacy when necessary in the courtroom, to achieve the best possible result for his valued client’s concerning issues which effect the family in divorce and post divorce related matters. 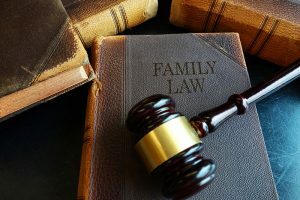 Such issues include the dissolution or continuation of the marital relationship, the maintenance of a spouse (formerly called alimony), the establishment or modification of child custody, visitation and the support of children, the discovery, classification, valuation and division of marital and non-marital property, the division of liabilities associated with the marriage, pre and post nuptual agreements, and any other issues associated with the marital relationship or concerning the establishment of paternity and rights afforded unwed parents. Attorney Canulli provides exceptional personal service because he understands that every case is unique and every client has individual concerns, needs and expectations which require the breath of experience which he provides derived from the personal management of cases beginning to end and which include his extensive experience in the trial and appellate courts throughout Illinois. Attorney Canulli has the unique ability to explain complex matters in a straight and easy to understand manner in order to insure each client’s understanding of their choices which in turn, promotes good decision making by the client throughout the handling of their case. Attorney Canulli’s strong work ethic and responsiveness, along with a compassion and understanding for the difficult circumstances which often accompany the dissolution of any marriage provides a sound framework for a caring and effective attorney-client relationship which in turn, promotes excellent results for the client. Attorney Canulli knows that a successful outcome is critical to the successful personal and financial restructuring of the family as a whole following a divorce and so that a divorcing spouse may begin their life anew under the best possible circumstances.